Sometimes I don't know what to buy certain people on my list. Finding the must have toy for kids can be easy, but I often scratch my head at those little gifts or stocking stuffers for people like my mother-in-law. I know that she likes pictures of her grand-kids, but how many picture frames does a woman need. This year, I'm coming up with a creative way to capture a fun grand-kid moment for her. I'm gifting Piczzle. What is Piczzle? Piczzle is a custom made jigsaw puzzle. First you start with a favorite photo. Next, choose the size of puzzle. Customers can select a traditional shape like rectangle or unique like heart-shaped. 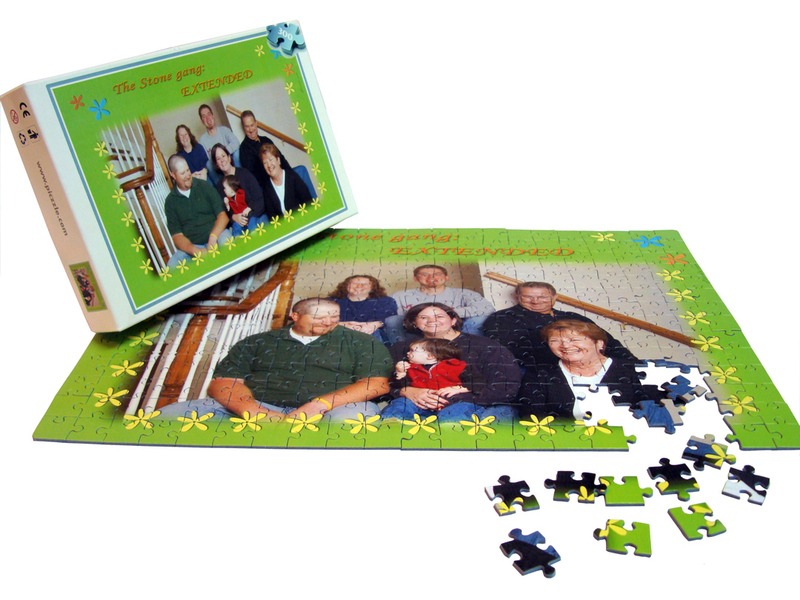 Each shape is available in a variety of sizes and number of puzzle pieces, 6 to 2,000. Puzzles can be made out of cardboard or wood. I chose a rectangle, 48 piece puzzle for my mother-in-law. The picture has all of the grand-kids at a football game. This fun gift will be good way to remember the kids when they get older. Other options for Piczzle could be a kid's birthday present, which doubles as a toy. What kid wouldn't like to put together a puzzle of herself. Plus, the pieces are durable enough to withstand kid play. You don't have to worry about pieces breaking or pictures peeling off. Another great idea would be a Valentine's gift to your sweetie or a way to reveal a special surprise. Think of the look on your wife's face when she puts together a beach scene to realize you're taking her on a second honeymoon. Piczzle retails for between $14.95 and $289.95 depending on the size and type of puzzle ordered. For additional promotions, please visit the Piczzle Facebook page. Would you like your own Piczzle? I have a small size custom picture puzzle to give to my readers. Please use the Rafflecopter to enter.